This is Finn — a highly trained baseball bat-retrieving dog and all-around very good boy. He knows his job, and he does it well. That is, unless some spoilsport were to throw a wrench into his adorable workflow. 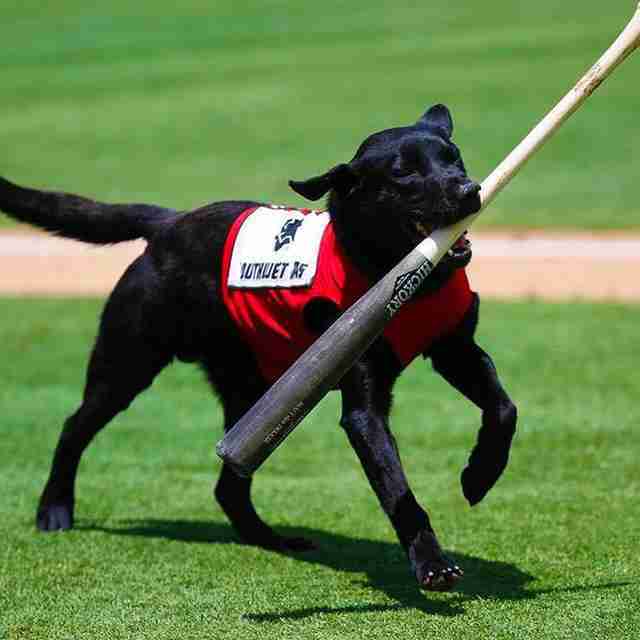 On Tuesday, Finn was out dutifully doing his thing at a minor league game between the Las Vegas Aviators and Sacramento River Cats when a game official inexplicably decided to flip the script. Just as Finn was running out to fetch a discarded bat, the home plate umpire stooped down and picked it up before he got there, tossing it from the sweet pup's reach. Finn had been snubbed — and folks in the stands were none too happy about it; their chorus of boos directed at the official made it quite clear. No matter which baseball team each fan in the stands had been rooting for originally, in the matchup between the pup and the ump, they were all now fervently on the side of team Finn. Keep up the good work, Finn!